We use Amazon Simple Storage Service (S3) to securely store your data through all points in the data pipeline, allowing you to recover or replay data when needed. In order to setup your account, you must provide us with an Access Key and a Secret Access Key with full access permissions to an S3 bucket located in the U.S Standard region (us-east-1 / North Virginia). 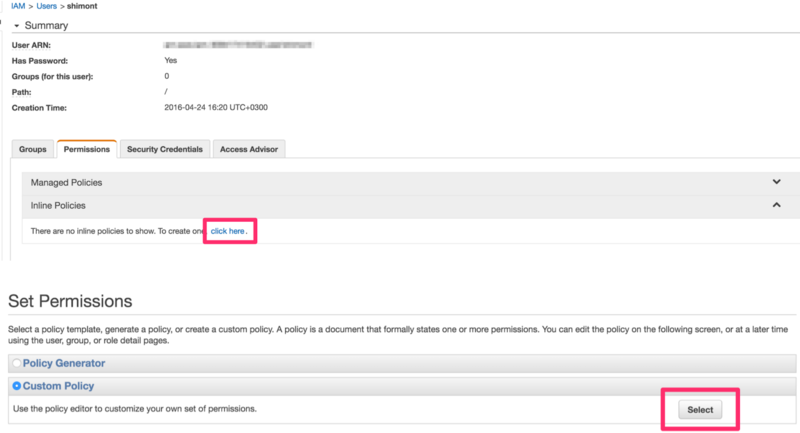 Specify a policy name and document. 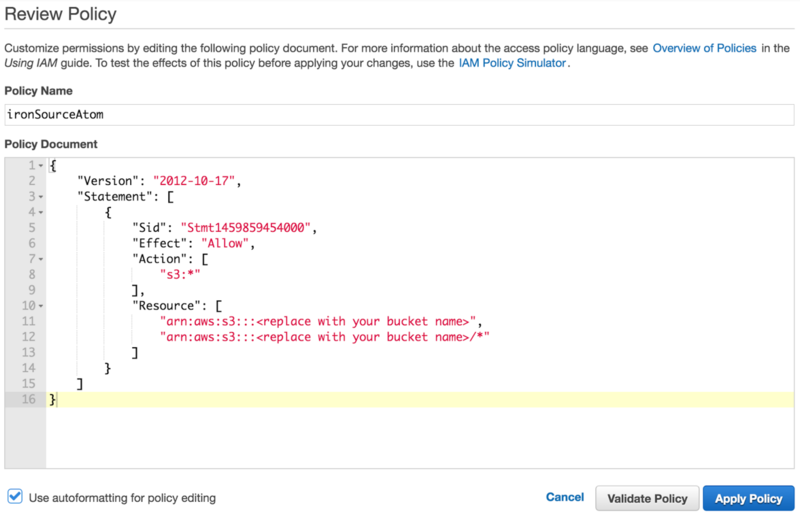 "arn:aws:s3:::<replace with your bucket name>/*"